Claribel Skin Lightening Lotion claims to offer a product that will naturally and gradually reduce pigmentation, sunspots, and sun damage. In doing so, this product claims to leave skin lighter and brighter but is it the best solution available on the market? This product review will examine various product aspects and customer support to determine if this is a wise purchase choice. What’s in Claribel Skin Lightening Lotion? Achillea Millefolium Extract restores supple skin by reducing the appearance of dry and damaged skin, such as flaking. Alpha Arbutin is a natural skin lightening agent that releases hydroquinone, which works to bleach skin by reducing the production of melanin. 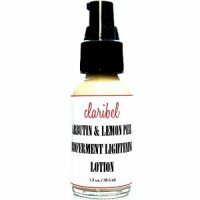 Lemon Peel Bioferment and Licorice Root Extract are powerful antioxidants that protect the skin from the damaging effects of free radicals while eliminating the formation of dark spots and other discoloration – maintaining even skin tone. Songyi Mushroom rejuvenates and lightens the skin by promoting new cell growth. Vitamin B3 reduces pore size, evens skin tone, and brightens skin. While these ingredients are beneficial, the lack of patented ingredients is a concern. Patented ingredients are thoroughly tested and clinically proven to deliver results, with brands using as many as 5 patented ingredients to ensure quality and efficacy. These include Alpaflor Gigawhite (which brightens and evens skin tone while reduces the color intensity of age spots), REGU-FADE (which visibly brightens skin within 2 weeks), and PhytoCell Tec Alp Rose (which protects skin from external and aging damages). It’s positive to note that the ingredients are vegan and cruelty-free, however, this should be considered a normal standard within skin care and is upheld by leading brands on the market. There is no GMP certification, which ensures that market-standard processes were used during manufacture. The lack of this certification makes us question the quality of this product and its production process; which is a concern. How Do You Use Claribel Skin Lightening Lotion? It’s unfortunate to note that the manufacturer does not provide instructions on how to best use this product. This may prevent customers from attaining the desired results as they will have to test out quantities of product and the frequency of use. This does not provide adequate customer support. 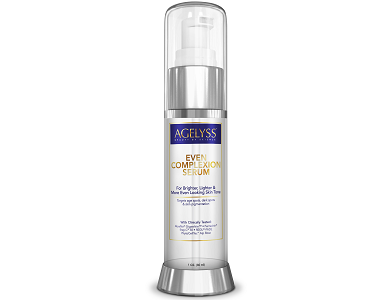 Whatsmore, the concentration of the active ingredients is not given. In saying so, we are uncertain if this product is accurately dosed in order to deliver results. Claribel Skin Lightening Lotion can be purchased directly from the manufacturer’s website. A 1.3 oz currently retails for $33.00, which is relatively costly for the market standard. There is a bulk bottle available of 2.4 oz that sells for $62.00. Otherwise, there are no other discounts to encourage purchase. The manufacturer offers a mere 7-day period in which products may be returned for a refund. There is no other information as to the extent of the refund or if partially used products qualify for a refund. This may imply that the manufacturer may not be confident in the product’s efficacy. Furthermore, there are too few customer reviews available online for us to confidently say whether or not this product is effective. Claribel Skin Lightening Lotion has a range of beneficial ingredients that may deliver on some of the manufacturer’s claims of efficacy. Although these ingredients are vegan and cruelty-free, the lack of GMP certification is a concern. Whatsmore, the absence of patented ingredients may imply that this product is not as effective as alternatives on the market. There are no directions for the best use of this product and the guarantee is limited and vague. Although there is a bulk offer available, the price per unit is still relatively expensive. For these reasons, as well as too few customer reviews available, we do not recommend this product as the best skin lightening solution available on the market.